View the entire table of contents for the Dec. 31, 2000 issue. December 31st, 2000 The Revival of Hungary's Bull's Blood A new generation of winemakers reinvents a famed red When capitalism took hold in Hungary just over a decade ago, investors poured money into revitalizing the sweet wines of Tokay. 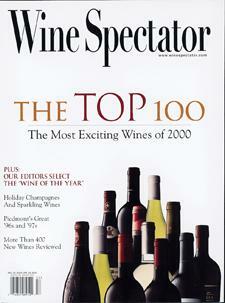 For the full article, check out the new issue of Wine Spectator, on newsstands December 31, 2000.